When one thinks of Larry Boothe, one thinks of all consuming multi-year model car projects that invariably end up being national show winners. Many people have wondered, "How does such a builder maintain his sanity when working on one project for three to five years?" The Chrysler 300 above is an example of how Larry does it; he builds several less-involved projects along the way as a diversion. 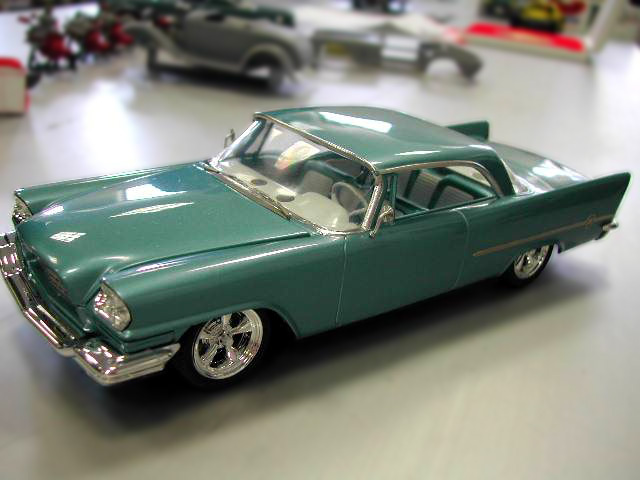 Currently, Larry has a goal of building one diversionary model each month to maintain the feelings of progress and achievement one gets from wrapping up a model car project.